Prof. Mimi Ajzenstadt is the Mildred and Benjamin Berger Professor of Criminology at the Institute of Criminology, Faculty of Law and the Baerwald School of Social Work and Social Welfare at the Hebrew University of Jerusalem. Her research interests lie in the areas of sociology of law, qualitative research methods and in the areas of social policy and the welfare state. She has examined the establishment and operation of social policy towards women in the Israeli welfare state, and has analyzed the history of the social construction of attitudes towards juvenile delinquency in the Jewish community in pre-State Palestine and in the State of Israel. She studies the experience of incarcerated mothers in the only female prison in Israel and studying the criminal and civil legal aid provided by government and non-government agencies and organizations to members of excluded groups in Israeli society. 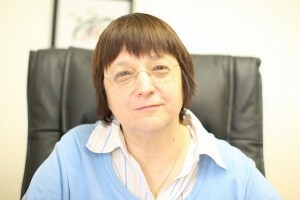 Her articles were published in journals such as: British Journal of Criminology, Social Problems, Social Policy, Symbolic Interaction and Qualitative Sociology.